Because of ongoing court battle, it’s unclear what will happen with services and other immediate concerns, let alone estate. 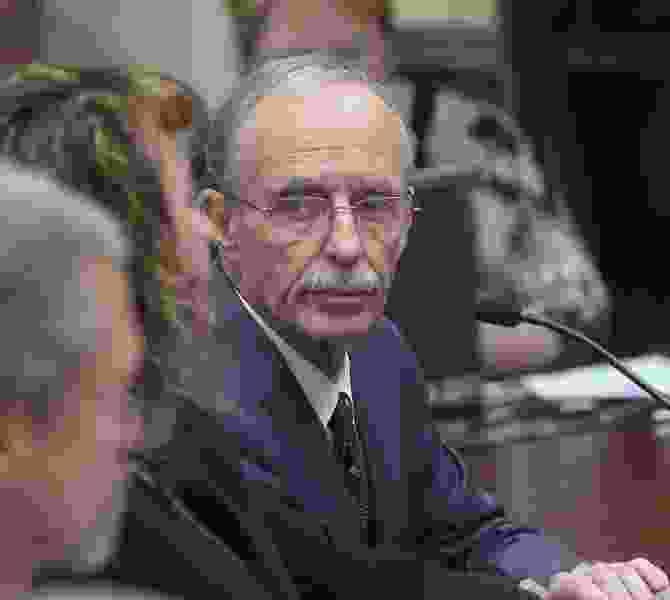 After years spent suffering from a progressive neurodegenerative disease, mostly hidden from public view, former longtime Salt Lake County Recorder Gary Ott died Thursday morning in hospice care in St. George. Ott’s death followed a four-year struggle with Alzheimer’s disease. The details of his diagnosis were first made public last week in a court battle between Ott’s siblings and his former fiancee and assistant, Karmen Sanone. A judge has yet to rule on who would become Ott’s guardian and conservator, which includes the power to preside over Ott’s estate. It’s not clear how his death will affect the court case. Third District Judge Bruce Lubeck said he planned to rule within days or weeks. Martin Ott, Gary Ott’s brother, said his family spent several days at his side after being told Ott’s death was near. They were with him when he died, Martin Ott said. “Believe me, the man was suffering. Every breath,” Martin Ott said. Hours before his death, Sanone visited Ott’s facility and attempted to see him. The family and facility called St. George police and reported she was trespassing, according to a report read to The Tribune by Capt. Mike Giles. Attorneys in the case said they didn’t know what would happen moving forward with Ott’s estate, including a Salt Lake City home and banking and retirement accounts, along with immediate arrangements, such as services and interment. Ott had been living with Sanone at her Weber County farm for years while maintaining legal residency in Salt Lake County. The two acted like husband and wife, describing themselves as such to various doctors in recent years. They had exchanged rings and were once engaged, but never married. After struggles with his speech, Ott saw a doctor in 2013 who said he believed the symptoms may indicate a form of dementia. Subsequent visits with neurologists confirmed Ott likely had Alzheimer’s. As of last week, Ott had advanced Alzheimer’s disease, attorneys said. The diagnosis came two years after friends and former employees say they began seeing possible signs of the disease. His decline would perplex friends, family and employees for years as they knew something was wrong with Ott but were powerless to remove him from office or otherwise intervene in his life. His employees, meanwhile, attributed various symptoms emerging in public to a severe case of shingles and the medication he took for years to treat it. Two of his staffers, Sanone and former Chief Deputy Recorder Julie Dole, had access to his email account. They said they never wrote anything purporting to be from Ott without his actually knowing and signing off on the correspondence. Sanone said she was writing his emails because a debilitating hand injury left him unable to write for himself. In one email, Sanone fretted over how to make an email appear as though it was coming from the elected recorder. In another, sent May 5, 2016, between her public and private email addresses, Sanone sent a document called “Gary Ott Trust Outline,” a record obtained by The Tribune this week shows. The outline sought to give Sanone control over Ott’s trust. “I want the trust designed such that all assets will remain in my control until such time as I become incapacitated or otherwise unable to make my own decisions,” the outline said. “At this time, the co-trustee will assume control of the trust and my assets. It’s not clear whether the outline, which sought to give Sanone control over all of Ott’s stocks and investments, powers of attorney, farm equipment and other assets, was ever signed. In January 2015, the same day Ott was sworn into his final years in office, he purportedly signed an advance health care directive, a document nominating Sanone as his medical guardian should he need one in the future. Dole, who filled out much of the document, was also the legal witness. He then walked into the county clerk’s office and stumbled over the oath of office, including repeating his own name. After months of news reports that began to shed light on the apparent struggles of the county recorder, Ott’s family, living in southern Utah, asked the 3rd District Court to give them the power to make his medical and financial decisions. After Sanone found out the siblings were going to court, she visited one of Ott’s financial planners and became the death beneficiary on one of his retirement accounts, according to court testimony. Dole and Sanone have been accused of knowingly propping Ott up in the office for years while he suffered from his terminal condition, even going back to his 2014 re-election. During that time, police were contacted about Ott at least three times, including one winter night in Tooele last year, when Ott ran out of gas and was wandering disoriented. Police, who described him as incoherent, took him to the emergency room. His friends and family described a sense of relief on Thursday as Ott’s suffering came to an end, about 4 a.m. in hospice. Caretakers warned the family days ago that Ott was near death, and they spent several days with him. In a written response, Dole said she was “deeply saddened” by the news. She said she learned of Ott’s condition in court last week and called accusations that she knew of his condition long ago “absurd.” She also blamed Ott’s siblings for his death. Salt Lake County District Attorney Sim Gill’s office has talked about an investigation related to the recorder’s office but has released no details of the matter. Martin Ott said the family wants justice.